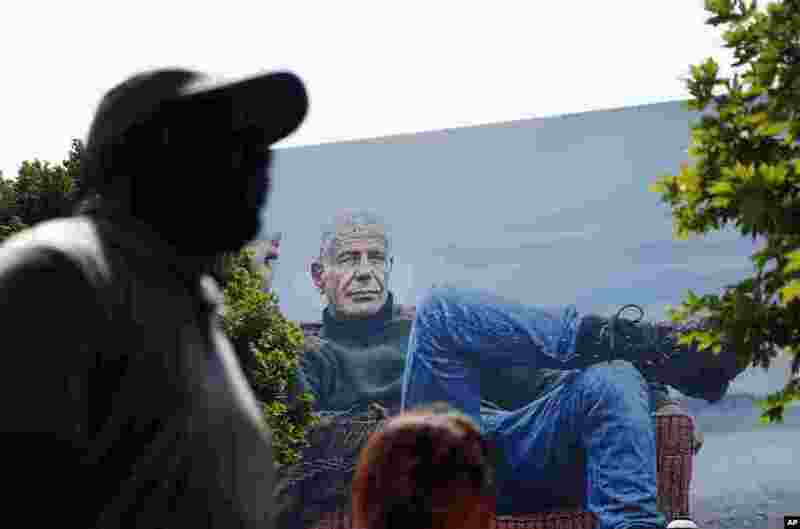 ٢ People walk past a billboard for the CNN television show "Parts Unknown" with American celebrity chef Anthony Bourdain, Friday, June 8, 2018 in Atlanta, Georgia. 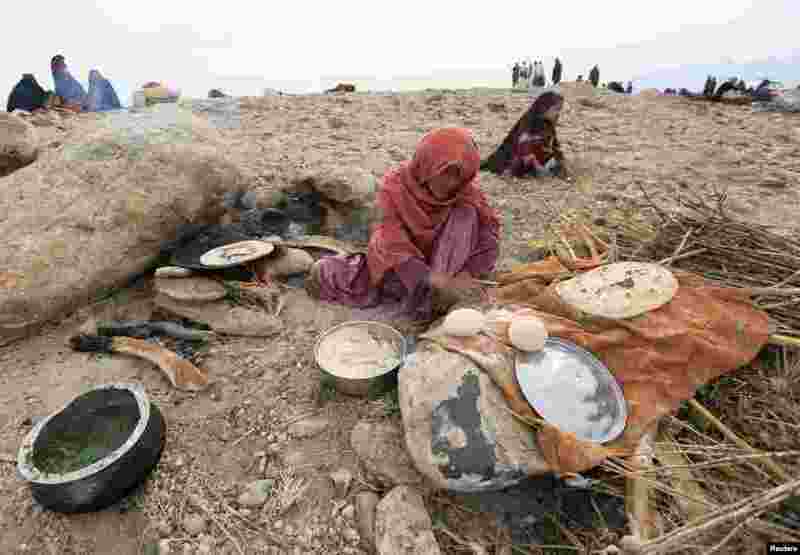 ٣ An internally displaced Afghan woman who fled from recent conflict cooks bread outside a shelter in Khogyani district of Nangarhar province, Afghanistan. Nov. 28, 2017. 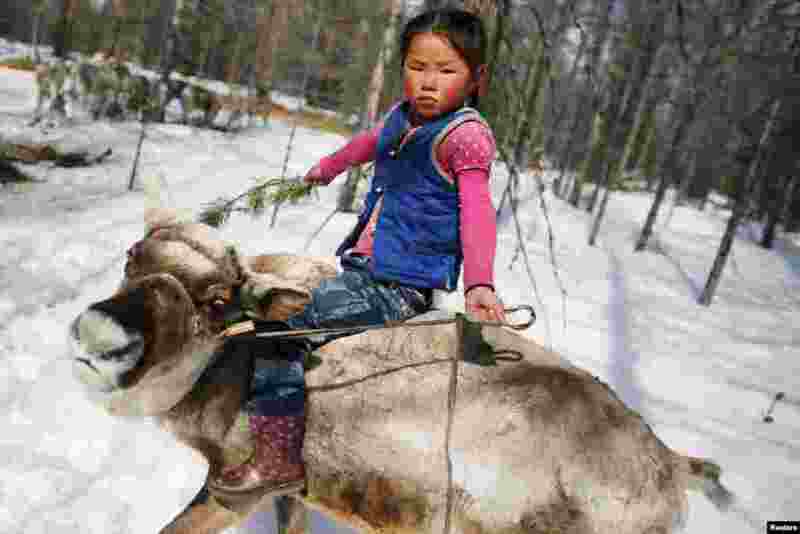 ٤ Tsetse, the 6-year-old daughter of Dukha herder Erdenebat Chuluu, rides a reindeer in the forest near the village of Tsagaannuur, Khovsgol aimag, Mongolia. 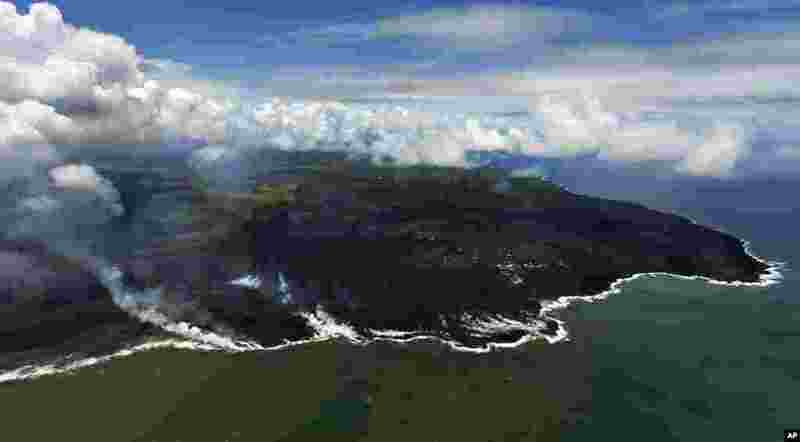 ٥ Most of the Kapoho area including the tide pools is now covered in fresh lava with few properties still intact as the Kilauea Volcano lower east rift zone eruption continues in Pahoa, Hawaii.